The purpose of writing a spec script (movies, plays, musicals, etc.) is spending the time to flesh-out an idea that an artist believes in and then finding a team of people and production company to make it all happen. It’s risky, because nobody has asked you to write the script and there may be limited data to show that an audience would be interested in being a part of the final “product.” In-other-words, the final product could be the computer file that contains your script that sits in the cloud somewhere never to be seen again. On-the-other-hand, there’s been some notable successes. Goodwill Hunting (Matt Damon and Ben Aflleck), Thelma & Louise (Callie Khouri), and Ferrari (Enzo Ferrari). Yes, Ferrari. The car company. Enzo Ferrari was a race car enthusiast. That’s all he really wanted to do with his life. But racing cars is a wonderful way to lose a lot of money. So, the genesis of the Ferrari automobile company (Ferrari S.p.A) came about so Enzo Ferrari could fund what became his racing empire. It was his in-house investment bank. Enzo Ferrari thought very big. Which brings us to Banksy the Beaver. That’s a working title that has nothing to do with the spec script I’ve written. The genesis of the name came from a recent movie location scouting mission to Michigan’s upper peninsula. After all, if that location worked for Ernest Hemingway, then there’s always the chance that some of the magic would be transferred to this script. 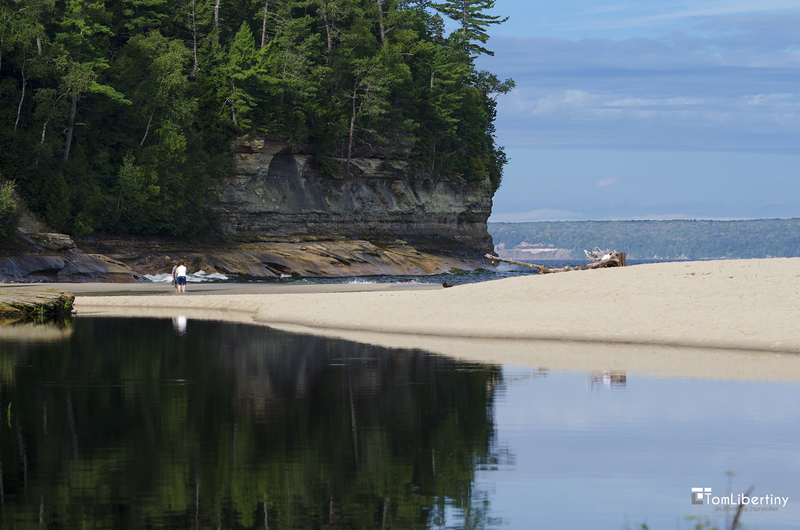 What Banksy the Beaver does describe is the Pictured Rocks National Park on the southern shore of Lake Superior. Or more specifically, 12 Mile Beach. As the name suggests, just east of Pictured Rocks is 12 miles of the most pristine beach I’ve ever seen. On a perfect 80 degree (fahrenheit) day, there were a total of 4 people on the beach. And one baby beaver. Banksy. Instead of swimming around in the beaver lake that he and his compadres had created nearby, Banksy decided to think much bigger. As in: why not take a swim in the largest lake in the world (by area)? Which is exactly what he did. Afterwards, he walked up onto the beach and took a nap in the sweet sunshine. A week of hiking and camping later, Banksy had given me both a renewed understanding of what it means to think big and finish my spec script. 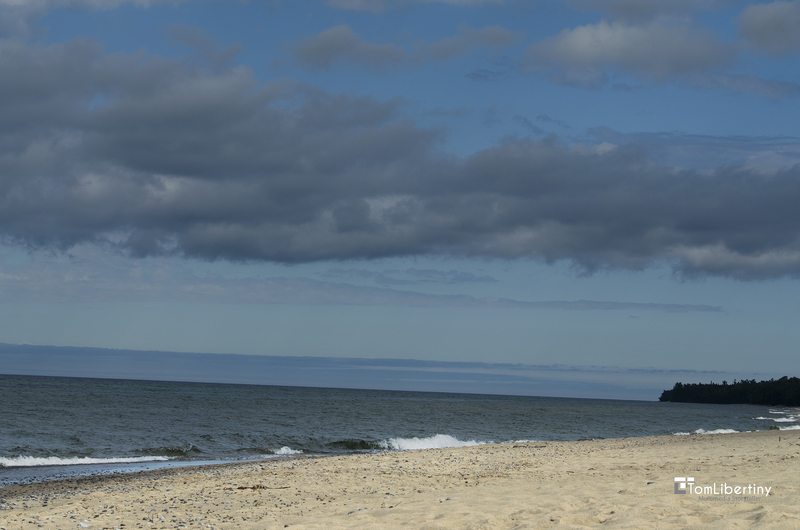 And his private 12 mile beach and adjacent rock formations had given me a setting and location for a future film. In return, we’d given him his name. Hope he likes the final script.